Forgive me, gentle readers, for I have sinned: it has been nearly a month since the last link post. So, as you might imagine, we have some catching up to do. There’s been lots happening here at DET and elsewhere, and I hope that you’ll take this opportunity to make sure you’re up to speed. And hopefully it will take you a little while to work through the backlog. Because we’re going to take a couple weeks off here and go on a hiatus until April 5th. What with Spring breaks and Holy Weeks, we’ve got other things to do. But we’ll see you on the other side and the below will keep you busy. And if they don’t suffice, dig into the archives of serials, book reviews, and even the KBBC. Trust me: DET is coming up on 10 years, and we’ve got more than enough in our archives to keep you busy for two weeks. What Am I Reading? Mark Chaves, "American Religion"
I recently finished Mark Chaves’ American Religion: Contemporary Trends (Princeton University Press, 2013). It presents an account of the state of American religion that manages to be brief, accessible, and packed with information. These characteristics are also the stated goals of Chaves, so it is also an example of an author having and achieving clear aims. It is a book of substance and not one of style or rhetorical flair,* and it is worth your time. I've been rereading the delightful and (unlike much of my recent fare) concise historical survey of Anglican spirituality by Bishop John R. H. Moorman titled The Anglican Spiritual Tradition (Templegate, 1983). I was amused by his two-page, tongue-in-cheek review of the career of Thomas Becon, a trenchant Protestant polemicist of the mid-16th century (pp. 50-51). 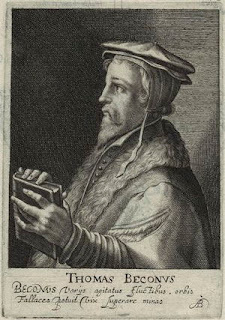 Becon (c. 1511–1567), like many Reform-minded clerics of his day, studied at Cambridge; he then served as chaplain to the Lord Protector during the reign of young Edward VI and also worked in the household of Archbishop Thomas Cranmer. When Queen Mary came to power in 1553, Becon fled to Germany and returned to England in 1559, after the accession of Elizabeth, and he was appointed a canon at Canterbury cathedral. As Moorman wryly notes, Becon was very much given to jump into the fray in those tumultuous early days of English Protestantism. And you shall tread down the wicked, for they will be ashes under the soles of your feet, on the day when I act, says the LORD of hosts. Remember the teaching of my servant Moses, the statutes and ordinances that I commanded him at Horeb for all Israel. Lo, I will send you the prophet Elijah before the great and horrible day of the LORD comes. He will turn the hearts of parents to their children and the hearts of children to their parents, so that I will not come and strike the land with a curse. COMMENTARY: As Calvin finishes up the last few verse of Malachi, and I in turn finish up the last few pages of Calvin’s commentary, there are three things that I would call your attention to, gentle readers. Kevin Diller's constructive and dialogical study of theological epistemology in the work of Karl Barth and Alvin Plantinga has received some rave reviews (for example, see Darren Kennedy's piece for the Center for Karl Barth Studies). DET's Travis McMaken has expressed appreciation, yet with some ambivalence about Diller's project (see here and here . 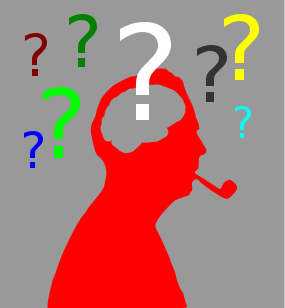 The second of these posts -- on "Barth, Pannenberg, and Fideism" -- generated one of our longest comment threads in recent memory). I also received a review copy of Diller's book and am submitting a review of it to an academic journal, so I won't analyze it at length here. I found this book very informative, especially on Plantinga, and overall stimulating. Today, though, I want to muse on two important caveats about the limits of his project that Diller raises in the postcript to his tome (pp. 295-300). "Caveat" is my own language; he labels these issues "concerns." Congdon’s work is full of insightful historical tidbits and encapsulations of the relationship between Bultmann and Barth. It would have to be, given the book’s subtitle! One of my favorite paragraphs in Purves’s recent book was his brief sketch of Torrance. It leaps off the page as a vivid crystallization of Torrance and his work. At least, it does so for me – and, admittedly and much to my regret, I know Torrance only from his writings. But Purves communicates well the personality that I have encountered shining through those writings. As usual, bold is mine and italics are from the original. Andrew Purves, Exploring Christology & Atonement: Conversations with John McLeod Campbell, H. R. Mackintosh, and T. F. Torrance (IVP Academic, 2015), 53. In his doctrine of the church, as in his theology generally, Karl Barth eschewed conventional weapons -- even such seemingly benign bulwarks as an infallible text, unchanging dogmas and a stable hierarchy. 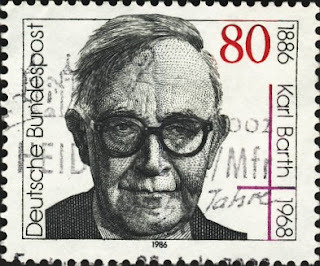 Kimlyn J. Bender highlights why Barth's ecclesiology remains fruitful and provocative today. Travis McMaken has reviewed Bender's impressive volume on modern theology (see here and here). The publisher also sent me a free review copy (with no prior expectation my reviews would be positive), so I too will offer a couple of posts highlighting notable bits of this book. I will echo Travis' assessment: Bender is a formidable interpreter of Barth and the contemporary theological scene, and his work is well worth a careful read -- especially in the area of Barth's ecclesiology, Bender's special area of expertise.